After nearly eleven long years, one of my favorite bands -- ever -- of all time -- bar none -- released a new album. I love Freakwater. And yes, they did release and album and CD and download entitled Scheherazade. 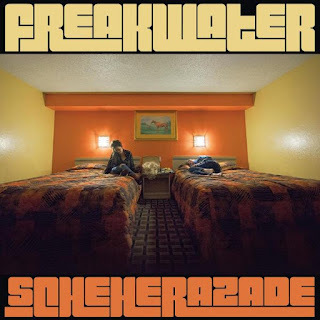 It is a great title for a Freakwater album as they are wonderful storytellers. 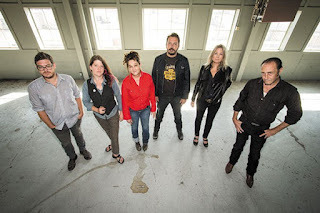 Freakwater has always been fronted by Janet Beveridge Bean and Catherine Irwin. They produce raw and aching harmonies that one can never forget. In a world of cookie cutter pop songs and predictable country, Freakwater is a breathtaking alternative. Often tossed in the alt-country pile, they are much more. "Freakwater is a 27-year-old Chicago-by-way-of-Louisville, Ky., combo founded by singer/guitarists Janet Beveridge Bean and Catherine Irwin, whose vocals intertwine like vines climbing a country-folk trellis in the Carter Family's backyard." Well that is exactly what they sound like. Actually, it is the old Carter family, channeling Maybelle and Sara into snarky, wicked lyrics. I once had the band playing in the background. A friend heard them and had little appreciation for the melancholy twang. But to this day, she still remembers them. To have such a unique sound; one that lingers in the mind years later, that is greatness. Be forewarned by this story, not everyone will be drawn to the music, but if you give it a chance, Scheherazade might become your favorite album of the year. In fact, you might just buy every album Freakwater ever recorded and play them over and over again, like I do.